Hershel R. Hassebroek was born to Raymond W. and Sena (Hinrichs) Hassebroek on January 10, 1948, in Sibley, Iowa. He attended Sibley High School and graduated in 1967. Hershel was joined in marriage to Susan M. Harms on February 9, 1968. The couple had two children: Julie Ann and Bradley Ray. He entered the US Army in 1968 and served until 1971. He was a member of the 2nd Armored Division and worked with Air Defense on the Nike Hercules Missiles and Chaparral Missiles. Hershel was a Boilermaker by trade and belonged to the Boilermaker Union Local 83 of Kansas City, Missouri. He worked with them for 33 years and retired in 2007. He served as a member of the Siouxland Dive Rescue for many years, as a HAM in the 3900 Amateur Radio Club and was active in the Coast Guard Auxiliary. 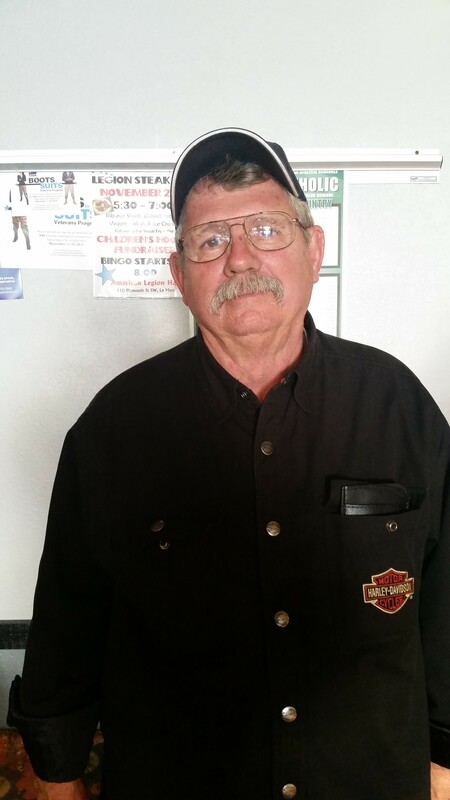 Hershel enjoyed being a member of the Patriot Guard and the American Legion Riders. He loved spending time woodworking and riding his Harley with friends. He was proud of his children and grandchildren. He especially enjoyed his great-grandchildren. Left to cherish his memory are his wife of 50 years, Susan of Hinton; daughter, Julie Wilson and special friend, Don Brewer Jr. of Laurel, NE; son, Bradley Hassebroek and special friend, Teresa Raymond of Sioux City, IA; grandchildren: Jessica Clark, Amanda Clark, Autumn Clark, Adam Clark, Cody Wilson, Chad Hassebroek and Hope Hassebroek and 12 great-grandchildren. He is preceded in death by his parents, Raymond and Sena Hassebroek and a brother, Roger Hassebroek.